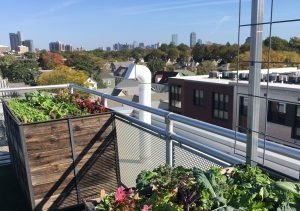 The Boston skyline isn’t the only thing drawing Allston residents to the rooftop of the newly renovated E3 Green District, a National Development Community – there are new gardens to view! 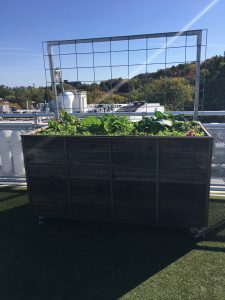 As one of many urban agriculture sites installed and maintained by Green City Growers, E3 now offers residents the opportunity to grow and harvest a bountiful selection of organic produce right on the roof deck, with a beautiful view of the Boston skyline. The E3 Garden Program offers raised bed communal gardening and a unique feature, with resident-reserved raised beds. Included in this eco-minded amenity is weekly support from a GCG farmer providing maintenance and urban ag education for any and all interested residents. The resident-reserved raised beds are currently assigned on a first-come first-serve basis. 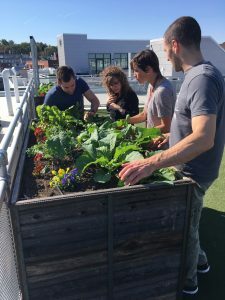 The beds are a point of personal pride for participating residents – with help from our farmers, they choose what they want to grow and can harvest at any time. 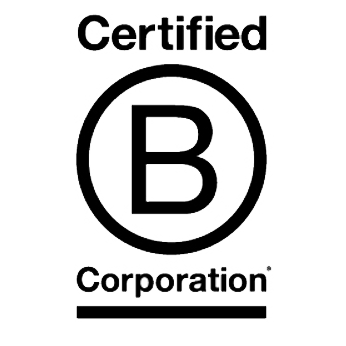 GCG farmers aid in the maintenance and harvesting processes, but the leave the rest up to the individual. With a total of eight communal beds, and twenty-four private beds, that’s a lot of growing space for the E3 resident community! E3 is one of Boston’s premier “Green Districts,” promoting green living spaces and healthy lifestyles for a community of engaged residents. 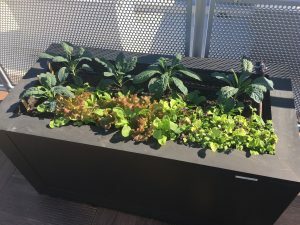 By providing organic rooftop farm spaces with flexible options, the collaboration between National Development and GCG is a great example of a cutting edge and attractive amenity for green-minded residents in Greater Boston, and beyond!